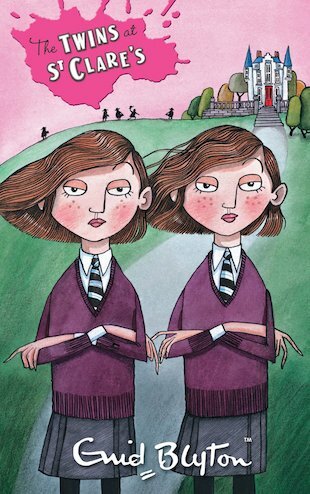 When spoiled twins Pat and Isabel O’Sullivan are sent to St Clare’s instead of the luxurious school of their choice, they are hurt and angry. They mean to give everyone at St Clare’s a few surprises, and prove that they’re too good for the place. But it’s the twins who are in for a shock, and they have some hard lessons to learn. There’s trouble at St Clare’s! This book is awfully funny and nice! It made me want to go to a boarding school! Really! The best! I read all the St Clare’s series lately and I love them soooo much! Sort of the same as Malory towers, but they are both really good books that you may be able to relate too. it was very even though it was written in 1945 it isn’t dated and tells you what boarding school was like in the 20th century. I love this series but i think that they have almost the same plots as the malory tower series.